The Armor Security Operations Center (SOC) was formed with a keen understanding of the strategies and tactics threat actors employ against organizations around the world. We didn’t just stand up a SOC. We stood up a collection of counterthreat experts working in unison to take on even the most advanced threat actors and make perpetrating cybercrime against our customers nearly impossible. Our scalable approach to managed cloud security ensures that you’re always supported by proven security talent capable of mitigating any level of security incident. The certified security experts in our SOC push best-of-breed technologies beyond their limits–frustrating threat actors and keeping your critical data safe. The success of the CISO lives on the success of creating and maintaining an information security strategy that emphasizes its business needs. Our Security Operations Center experts tirelessly monitor and protect your critical data workloads and applications, no matter where they’re located. When you partner with Armor, our security experts extend your security program through 24/7/365 monitoring and protection. Learn how they work to form a protective barrier against threat actors and their attempts to compromise your organization. As the first Totally Secure cloud company, we set the standard for security and control of organizations’ vital assets. We were born secure, so this is what we do, and we do it well. So well that you don’t have to worry about the reality that your Armor protected data are under constant assault from threat actors, and that’s how we prefer it. By managing and monitoring the security of your environment through purpose built solutions, we keep you off the front lines so you can focus on your core business offerings. 24/7, 365, the talented and experienced experts in our Security Operations Center are pushing best in breed technologies to their full potential to form a multi layered, highly efficient defense perimeter around your environment. With this level of efficiency, it’s almost like we knew they were coming, which we usually do. Our advanced threat intelligence keeps us a step ahead, proactively defending. Of course, it’s one thing to say we keep you secure. That’s why we let the proof speak for itself. This is our normal, and a key benefit to letting Armor share your security burden. Our vision to refine cloud security starts with preventing data breaches by combining the best security talent with the right tools. As a result, you might not even notice we’re there which is the greatest compliment you can give us. That means your data is completely and totally secure. CHECK OUT WHY CUSTOMERS TRUST ARMOR FOR THREAT DETECTION, INCIDENT RESPONSE, AND COMPLIANCE MANAGEMENT. It’s not one or the other. To effectively protect against cyberthreats in cloud and hybrid environments, you must be deeply experienced in both cloud and security. At Armor, we’ve honed this dual-expertise over the past decade by building and maintaining our own secure cloud infrastructure and defending it with the best security professionals and processes. By cutting our teeth in our own secure environment, we could extend that same level of security and control to other cloud environments—including hybrid and public clouds. Indications and Warnings (I&W): 24/7/365, this team is always monitoring your security posture, looking for anomalies and suspicious activity. In the event of potential compromise, they quickly escalate security events for deeper assessment and response. Incident Response & Forensics (IRF): When suspicious activity is detected, our IRF team dives into forensics analysis to determine if the incident is a true positive. If a compromised host is detected, they work with the customer to contain, eradicate and recover from the threat, usually in less than 24 hours. After the threat is remediated, they coordinate with customers to address the root cause of the compromise and prevent future attacks through the same vector. Vulnerability Threat Management (VTM): Threat actors are always looking for an easy way in to your environment. This is why vulnerability and patch management are essential for lowering your environment’s surface area of attack. Our aggressive vulnerability assessment program keeps our customers’ infrastructure hardened against attack. Threat Resistance Unit (TRU): Our TRU team provides actionable cyber threat intelligence that allows us to anticipate, and block a large majority of the cyber-attacks against our customers, allowing us to provide unparalleled protection in the cloud. We collect and analyze data from 150 plus threat intelligence feeds to create a detailed overview of current and emerging threats. This keeps us a step ahead of threat actors, able to block their attacks before they even have a plan of attack. Friendly Network Forces (FNF): We combined former National Security Agency online operators with our most experienced Armor engineer, to create an internal threat hunting team. These talented threat hunters look for gaps or seams in the security surveillance of our customer networks. In other words, we have the best hackers in the world, trying to break into our environment to make sure no one else can. 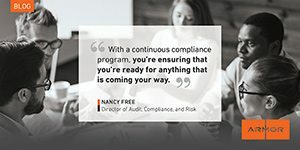 Compliance Expertise: Our solutions were purpose-built to meet the requirements of compliance standards such as HIPAA, HITRUST CSF, PCI DSS, and GDPR. And, considering how long we’ve been defending cloud data with purpose-built solutions, as well as the immense depth of our security talent, we don’t expect them to catch up. Even in a marketplace flooded with self-service tools, the human element matters— especially when it comes to security and compliance in the cloud. However, getting the right talent in place to help manage your cloud security is an investment in time and capital that few are built to support. Virtual CISO:Extend your cloud security roster with Armor’s proven security talent. We provide the expertise to provide hands-on support and guidance. Certifiable cybersecurity experts:The individuals in our Threat Resistance Unit (TRU) and security operations center (SOC) have a combined 60 cybersecurity certifications. Proven cloud security results: Our SOC managed more than 6,048 security incidents and analyzed more than 1.011 trillion logs last year. Armor becomes an extension of your security team—actively reducing your burden of security and compliance in the cloud. While fully managing your cloud data security has advantages, the costs, complexity and overabundance of security tools often outweigh the benefits. Armor simplifies these challenges by extending your team through managed security services from our SOC. So, while there are still aspects you’re ultimately responsible for when it comes to securing your data, we lessen that burden by providing expertise, guidance and assistance when navigating the intricacies of security and compliance in the cloud. At Armor, we designed our approach and built our teams to do one thing – make it harder and harder for an adversary to harm our customers. Most threat actors are looking for the path of least resistance. At Armor, we’ve created the opposite. Through prevention, advanced detection and active threat hunting, we work to put in obstacles in place that turn away even the most advanced adversaries. And we don’t stop there. Reduce the attack surface for our customers. Push the required skillset of the threat actor up by making it harder and harder to bypass security controls. Disrupt processes as early as possible for advanced threat actors. Proactive, not Reactive. Unlike traditional security service providers, Armor Security Operations Center experts get in on the hunt. We perform continuous threat hunting to ferret out potential threats that might have gotten past our strong preventative and detective controls. We perform continuous response – going above and beyond what traditional managed security providers do – to respond and eliminate threats aggressively, resulting in an average dwell time of less than 1 day compared to an industry average of 100+ days. Security is our business and we mean business. We constantly enhance the protections our customers count on. Insights and intelligence gleaned from monitoring customer environments are continually adapted into countermeasures, further automation, orchestration and playbooks, enhancing the effectiveness of our Security Operations Center teams and our Spartan platform. We consider it one of the most critical measures for assessing the success of any security program. Surprisingly, most security service providers steer well clear of talking about dwell time with their customers. We live by it. You should too. This webinar discusses security and disaster recovery best practices that ensure your business goes on after disaster hits.